Basel II? You're citing as a symptom of the decline of American Republic Basel II? My good fellow, I dare say I know more about Basel II than anyone else in this family and I vociferously assure you that Basel II, while perhaps an impediment to the tee times of the fellows who work on Wall Street or across the pond on Canary Wharf, is not a net negative. At worst it rivals the capriciousness and vapidity that Messrs. Sarbanes and Oxley enacted on the American Public in the form of the 'Public Company Accounting Reform and Investor Protection Act' but that would be to amalgamate a metaphor rendering the poor similitude unrecognizable. It escapes my comprehension, good sir, why you would seek to elect someone to devise an alternative to Basel II or similar financial regulations. 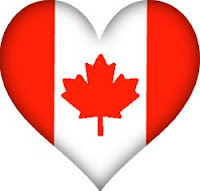 No, while democracy has its place – the election of Presidents, Governors, American Idols, etc., not everything is destined for public referendum due to the duration of ballot procedures and John Everyman’s exceedingly tenuous grasp of international credit review standards. Instead, I suggest those with a political science degree sit quietly pondering the influence of Schumpeter on European heterodox economists and let the adults have at it. Since I'm located in the DC area, I want to, as best I can, give the loyal folks coming down for the Season Opener (Roy Halladay's first complete game as a Phillies) some tips on getting to the stadium, where to get drunked, etc. Although he didn't want to talk about it, Wertz's (lack of) personal grooming was the mane event. 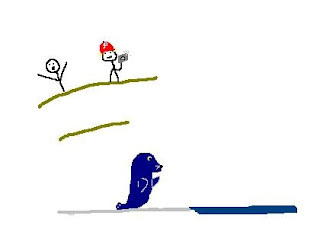 Is that Harry Leroy Halladay III, J-Roll and Into-The-Wild-Werth as dancing penguins, you ask? Hell yeah it is. No no. It's okay, don't say anything. You're welcome. 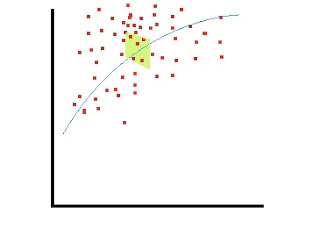 You may or may not know this, but I've long taken a Sabermetrician's approach to the game. At the same time, I put a lot of stock in anecdotal recollection and personal bias. 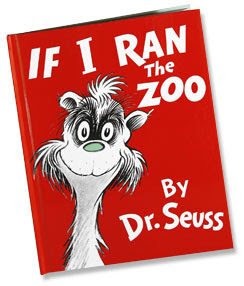 In relation to this insanely successful blog's even more successful subject, I've spent some time of late developing a pitching rating to quantify, in layman's terms, "awesomeness (exclusive of defense or playing on a donkey team) combined with want-to-go-to-the-zoo-with-ability". I call it the GROwL ©. It's in Beta testing, but so far here's a sampling of the output's leaders (followed by an explanation of the calculation). The results, naturally, shouldn't come as a surprise. 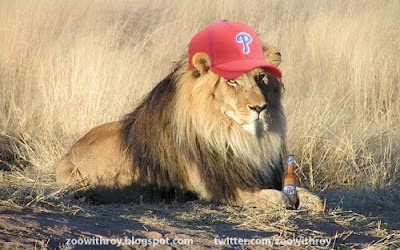 He's all like, "omigod, omigod, omigod, I hope Roy Halladay comes to vist MY zoo too! woooooo eeeeeee!!!" I have no idea what this commercial was selling, but I distinctly remember an orca flying out of the back of a truck at high speed. 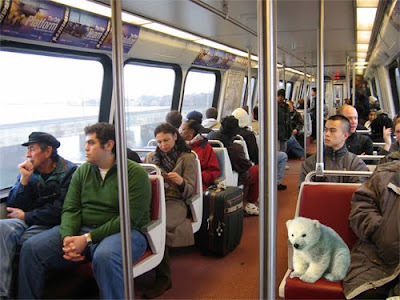 While the standard zoo does not have aquatic life, we'll consider Sea World a zoo for the purposes of this exercise. I could totally imagine Roy getting all drenched by Shamu XXIII or whatever while we're sitting in the "splash zone". His cotton candy will be totally ruined! I have no idea what this commercial was selling, but I do remember a bunch of a chickens wearing people clothing screaming obnoxiously, as though this is going to somehow get me to buy their cell phone or whatever. Technically I don't think there are any chickens in a normal zoo either, but there are turkey vultures! I'll bet they're real boring to look at, unless you happen to be wearing a neon glow necklace and hanging out with Roy Halladay. LOL, midgets! Always good for major league lulz. And just imagine midgets in a zoo! Wouldn't it be great if society's little people were marginalized; their lives put on display so the rest of us could have a laugh?! Oh, wait. What? We've done that joke already? Dammit. Oh well I'm not rewriting this blog post. There you have it. The definitive list of best Superbowl commercials featuring zoo animals. 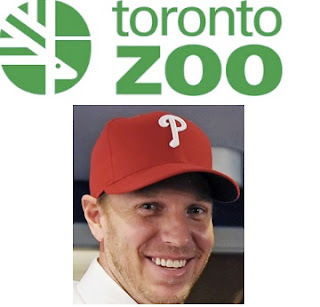 Share it on Facebook or Friendster with your pals, relatives, co-workers, and other donkey acquaintances who you wouldn't mind letting know that you read a blog about visiting the zoo with Roy Halladay. They'll totally think you're cool. Recently I was compiling research for a multi-million dollar consulting project on behalf of large global conglomerate when I happened upon the Wikipedia entry for one Harry Leroy Halladay III. As I often do with regard to most open and/or crowd-sourced efforts, I automatically assumed 90% of everything on his this so called web site was absolute useless low brow dreck. But on this particular day, something caught my eye. My God, is Roy capable of feeling pain?! Was his technique anything but flawless? Was I sold a bill of goods? How could this be? Is he not the so called horse I was led to believe? Immediately my pulse began to race as I imagined our hero writhing in pain, his season ended with a stint to the DL, the hopes of billions of Phillies fans permanently crushed. But most importantly--I worried about this blog. 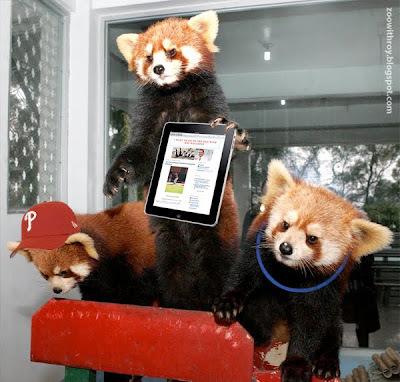 Would an arm injury for Roy preclude him from visiting the zoo with us? Anxiety turned to sheer panic. 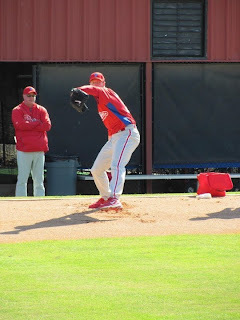 In 2007, Halladay regained confidence in his cutter, crediting his catcher Sal Fasano for suggesting a grip change. Instantly I could breath easier. Knowing that Roy had fixed any absurdly unlikely imperfections in his pitching mechanics made me feel whole again. 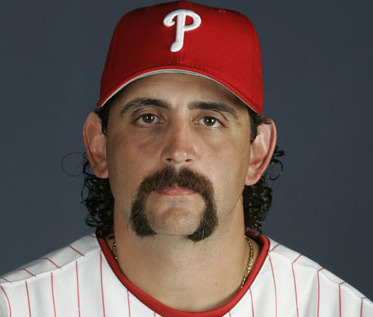 And even better, it was Phillie cult legend Sal Fasano that helped Roy in his darkest hour. Putting the man in fu manchu. Once again, this blog began to feel like destiny.